Carolyn Richard, a veteran California workers’ compensation claims professional who has specialized in self-insured public agencies, has announced her retirement. Thursday, December 31st 2015, will be her last day at her current position as the Director of the Public Agencies Division of the Law Offices of Stacey L. Tokunaga in Orange, California. 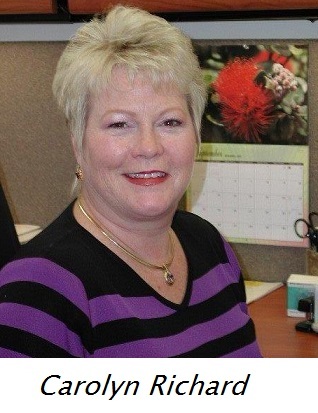 Carolyn started working at Fireman’s Fund as a multi-line adjuster back in 1980. Within a couple of years she became a senior workers’ compensation claims examiner at INA and then at CNA before year’s end 1984. 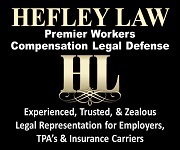 She then went to work for a law firm as a legal assistant and then became a senior claims supervisor at California Casualty from 1984 to 1990. In 1990, she became the Regional Claims Manager and the Interim Branch Manager for a year and a half at EBI Companies in run-off with 2,100 open indemnity claims. She worked for Adjustco for several months as a Branch Manager and then joined the City of Santa Ana as the workers’ compensation administrative manager of that city’s self-insured, self-administered program for the next 20 years. Carolyn started up the claims operation at Adjustco in 1991 and brought the Santa Ana workers’ compensation claims operation in-house making it self-administered in 1992. She then managed the staff and was Santa Ana’s administrator until 2012 when she made a change and went to work for Stacey Tokunaga’s workers’ compensation defense firm. Carolyn will continue to work with COSIPA (Council of Self-Insured Public Agencies) as their general manager part-time. Although she is stepping down as Vice Chair of the CAJPA (California Association of Joint Powers Authority), she hopes to remain somewhat active with them through the end of 2016.